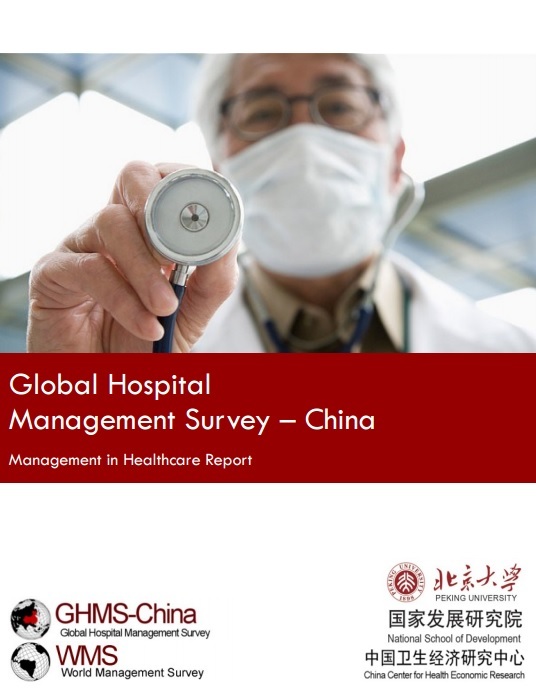 The Global Hospital Management Survey – China (GHMS-China) seeks to identify, measure, and compare differences in management practices across hospitals within China and in countries around the world. Our GHMS-China pilot study, conducted in November 2013, measured the state of management practices in 20 of China’s largest public hospitals. This GHMSChina report details the findings of the pilot study with respect to management practices in hospitals and lays the foundation for future areas of inquiry. We hope this report will serve as a valuable guide for a subsequent full study that will survey a greater number and variety of Chinese healthcare institutions in the future. Quality of management practices in interviewed public hospitals is slightly below average. However, the overall average management score is higher than expected for a developing country like China. Public hospitals in China scored the highest in standardization of care and scored the lowest in talent management. While performance and target management scores were average, management practices associated with autonomy were low.